Speaking out publicly for the first time since his resignation in December last year — following allegations of accounting irregularities at Steinhoff — the company’s former chief executive Markus Jooste blamed the 2017 plummet of Steinhoff shares on the company’s Austrian strategic partner and auditing firm Deloitte. Jooste described the circumstances that led to his resignation to members of four parliamentary committees on Wednesday and placed most of the blame on Austrian businessman Andreas Seifert, who owned Poco – a company with which Steinhoff went into partnership in 2007. He described Seifert as a major catalyst that led to Steinhoff’s demise. In his testimony delivered before the standing committees on finance, public accounts, trade and industry as well as public service and administration, Jooste revealed that “in a move to gain a retail footprint in Europe”, Steinhoff went into partnership with Poco. “Seifert’s interests in various furniture retailers were merged with that of Steinhoff, into a company called Poco and the two entities started working together on a number of transactions,” explained Jooste. In February 2011, the “strategic partnership” between Steinhoff and Seifert bought a French furniture company Conforama. However, when Seifert was supposed to pay his part of the acquisition amount, he did not have the cash. “Steinhoff paid the amount on Seifert’s behalf because I thought it was just a cash flow issue,” said Jooste. After initiating that they buy Austrian furniture group Kika/Leiner because it competed with his stores, Seifert in 2013 again failed to come up with the cash to pay his part of the acquisition. This led to a fall-out between Jooste and Seifert and, in 2014, Jooste ended the partnership. According to Jooste, in retaliation, Seifert launched three lawsuits in the Netherlands, Austria and Germany “contending that Steinhoff did not acknowledge his shares in Poco and Conforama. “Seifert was the guy who went with all the information ... to the German tax authorities, which led to the investigation, which in turn went to the whole accounting probe,” claimed Jooste. Search and seizure operations were instigated by German tax authorities in Steinhoff’s European offices towards the end of 2015. Jooste also alleged that Seifert tried to use German prosecutors, public perception and the media to gain a competitive advantage in the litigation processes in Austria and Netherlands. Since there were already investigations under way, led by the German authorities, Steinhoff also requested that its auditor Deloitte look into the allegations. According to Jooste he again asked that Deloitte look into the allegations in October 2017 and the auditing firm said “the allegations were nothing new and assured him that “between September 2015 and November 2017, the audit firm investigated 15 000 documents and found no proof of any irregular accounting practices”. Near the end of November 2017, Deloitte apparently changed its tune and asked that the release of Steinhoff results, which were scheduled to be released on December 6, be postponed. The withholding of the results, according to Jooste, was an “attempt by Seifert” to “influence litigation into Steinhoff” which would have diminished investor confidence resulting in the company’s fall in share price. “My advice was to appoint new auditors and get the financial results out by end January” because “failing to report full-year results – which was what happened – would have had a disastrous impact,” said Jooste. Since the board did not implement Jooste’s advice, he resigned in December 2017. 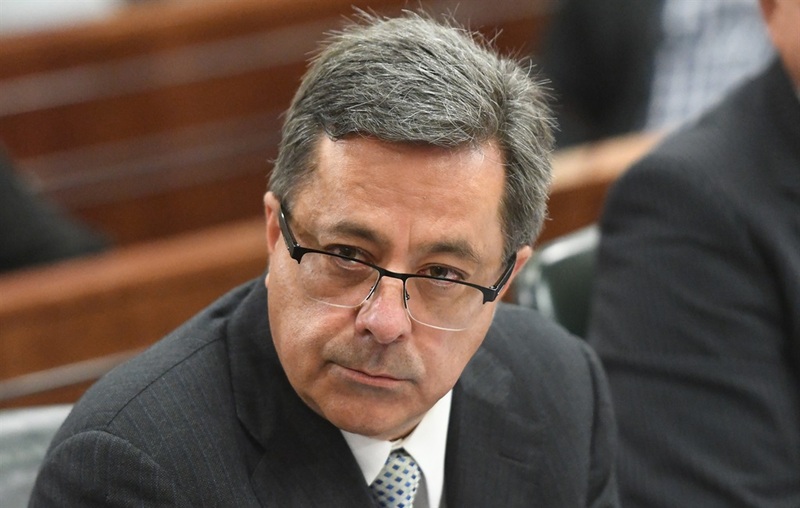 His departure was followed by a revelation by Steinhoff that it had uncovered “accounting irregularities” a fact that was denied by Jooste who maintained that, at his departure, there were no irregularities detected. In one of the only moments of contrition in his testimony on Wednesday, Jooste admitted that his “failure to pick a reliable strategic partner” when he went into partnership with Seifert was what led to the company’s demise. Chairperson of the Standing Committee on Finance, Yunus Carrim, said the committee felt that Jooste could have been more forthcoming and answered questions more precisely, because his invasiveness made it seem like “he had something to hide”. Jooste explained that he had nothing to hide because he had given 29 years to the company and also lost close to R3 billion when the company’s shares plummeted. The former chief executive was one of millions of Steinhoff shareholders – including the Public Investment Corporation, who invested the pensions of South Africa’s 1.6 million civil servants – who lost money when the share price dropped by 96%.